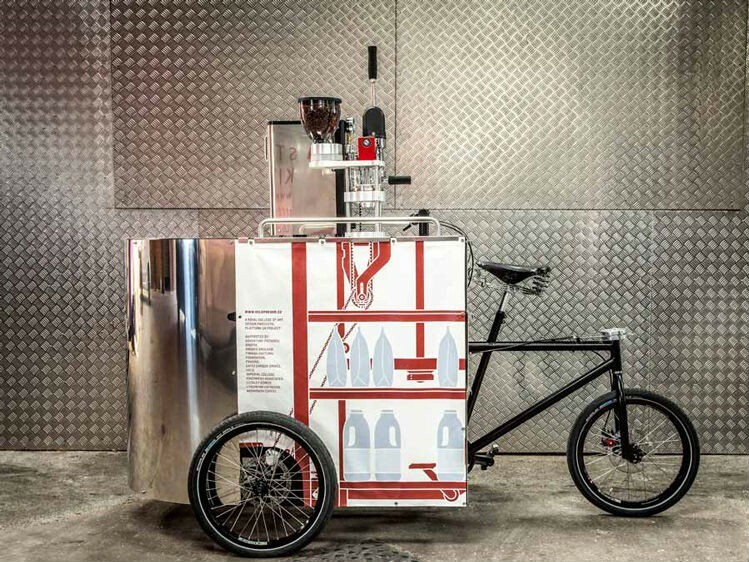 Velopresso – pedal powered mobile espresso cart! The Velopresso is a mobile, pedal-powered coffee making machine designed by Royal College of Art grads Amos Field Reid and Lasse Oiva. The rider/barista uses pedal power to grind the beans, and the espresso is made via a manual lever style press. It does, though, use a small gas canister to heat the water.